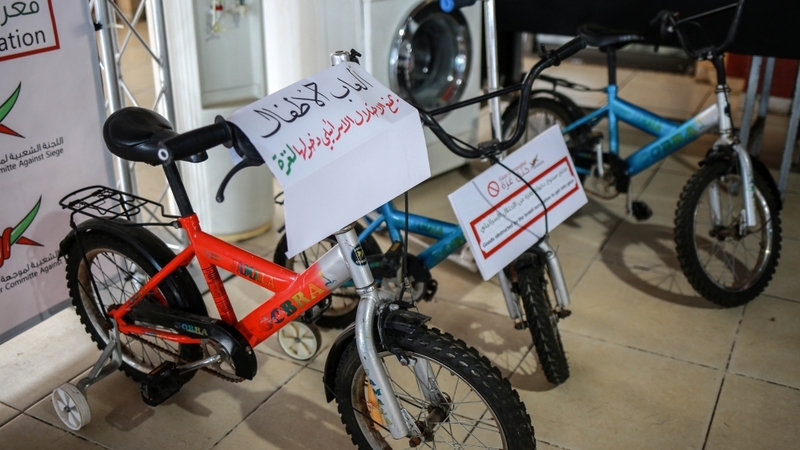 School supplies, medical equipment, power generators, and even children’s bicycles – these are just some of the items displayed at a new exhibition in the Gaza Strip showcasing more than 1,000 “basic commodities” banned from entering the coastal enclave due to Israel’s crippling blockade. 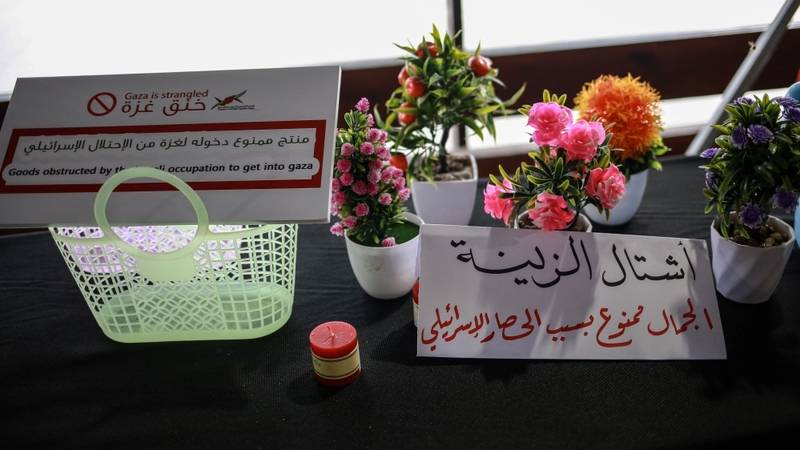 “We wanted to highlight the suffering of the people in Gaza,” said Jamal al-Khoudary, a Palestinian MP and the head of the Popular Committee to End Gaza’s Siege, the group organising the showcase. 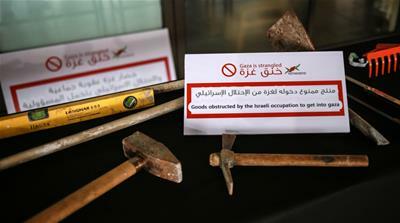 “We wanted to show the world what humanitarian necessities Israel has banned from entering the strip,” Khoudary told Al Jazeera. Home to about two million Palestinians, the densely populated Gaza Strip has been dubbed the world’s largest open-air prison. The coastal enclave also suffers from a severe lack of electricity, leaving residents to rely on fuel-powered generators during long outages – sometimes, homes have access to power for only two hours a day. 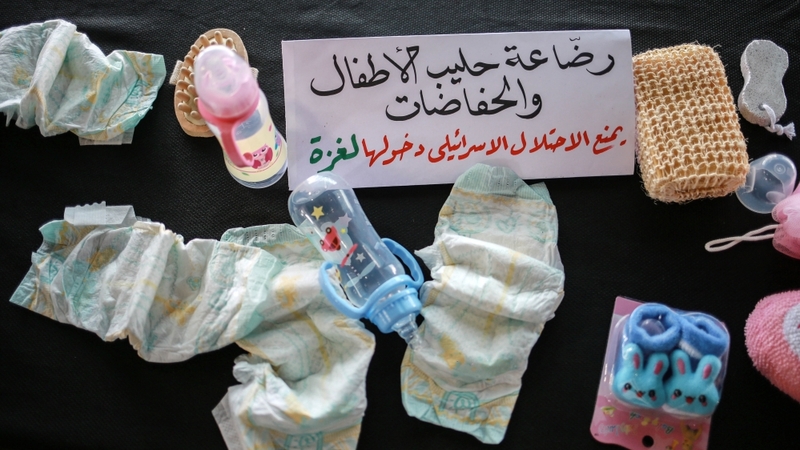 At the exhibition in Gaza City, items such as wedding dress, cleaning sponges, baby bottles and diapers are also on display – all prohibited from entering Gaza since Israel cut off the supply of essential commodities last month by partially sealing off the Karem Abu Salem, known as Kerem Shalom to Israelis, commercial border crossing with the Gaza Strip. “The closure of the Karam Abu Salem crossing has been utterly devastating,” Waleed al-Hosary, head of Gaza’s Chamber of Commerce, told Al Jazeera. Israel’s Defense Minister Avigdor Lieberman said the shutting down of the crossing and the recent ban on fuel and gas shipments was in retaliation over Palestinians setting fire to Israeli land. At least 153 people have been killed by Israeli gunfire during the popular demonstrations – dubbed the Great March of Return – taking place along the fence with Israel. 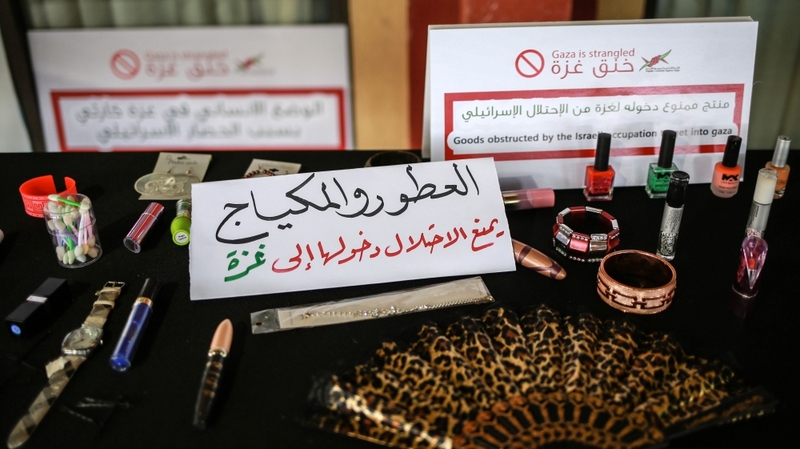 The closure is also affecting Gaza’s exports, further straining an already devastated economy brought to its knees by the 12-year blockade. Hassan Ali Odeh, owner of a travel agency, said his business activity has been “futile” for more than a decade. His Ahli Travel and Tours company used to send people to Saudi Arabia to perform Hajj, a central tenet of Islam. But now, many of his agency’s offices are empty and dilapidated. “I’m older than the state of Israel and lived through multiple occupations – from the British to the Egyptian and I can honestly say that nothing compares to Israel’s occupation and its suffocating siege,” the 80-year-old told Al Jazeera with a broken voice. “The siege is asking us to stop breathing and die,” Odeh added, describing the current situation for people living in the Strip. “It’s just like when you deprive a baby of milk – the baby will die, and this is exactly what’s happening to the young generation,” he said. “Every humanitarian crisis around the world warrants an international response,” Khoudary said.